Sony's PR people sent The Bottom Rung some teaser shots for the 2008 Bravia campaign. Instead of deluging us with color like in previous ads (yarn pyramid, technicolor bunnies), looks like Bravia's gone soapy, sudsy, foamy white. Magically delicious. 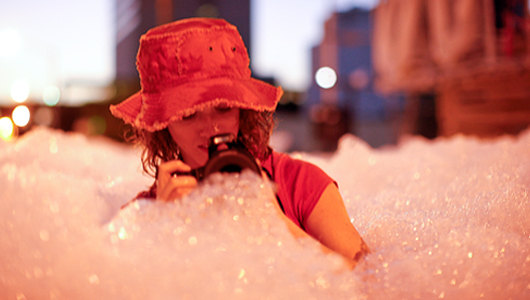 Where childproof fantasy places are concerned, a bubble bath world is right up there with a bubble wrap city.